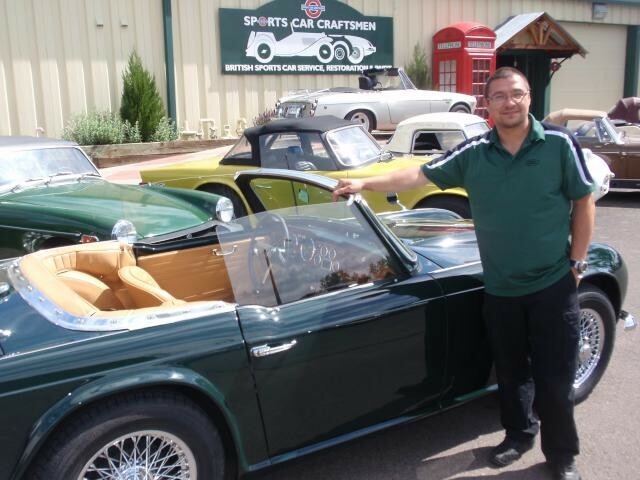 Meet the crew who bring the joy of British sports cars to you. 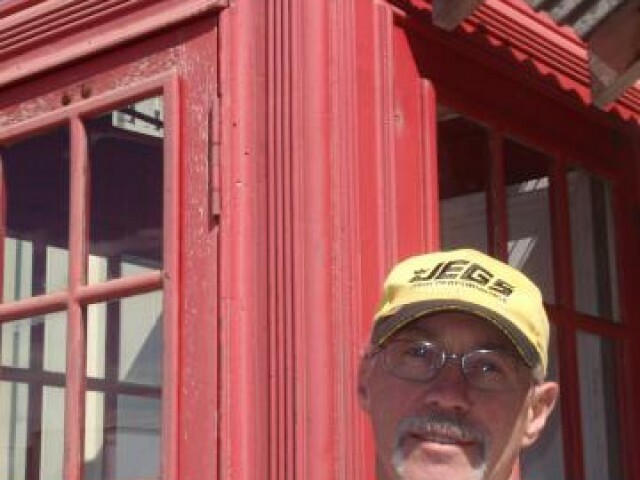 Paul has been in the British sports car business since 1973. He has an BS in Civil Engineering from the University of Colorado, Boulder and a Masters of Business Administration from the University of Colorado, Denver . Around the shop, you’ll find him on the phone, digging up parts, on the phone, behind the counter, on the phone, paying bills, or on the phone. He proudly proclaims that every one of those gray hairs is earned, not store bought! Ted Ax. He’s been Paul’s evil henchman since 1983. That’s an awful long time to be an evil henchman. 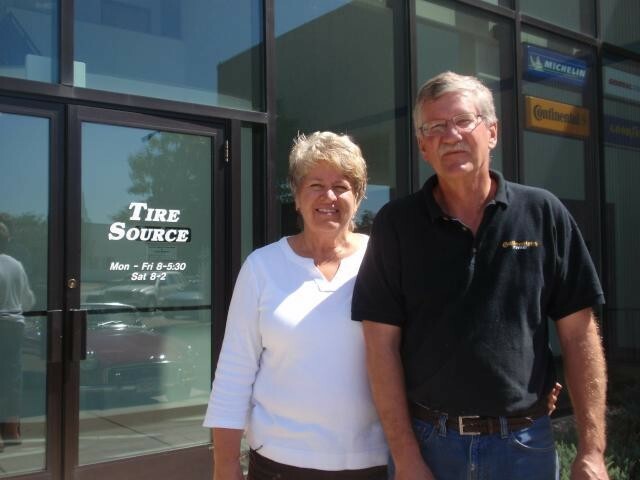 In day-to-day operations, that boils down to fixing cars, and answering the odd phone call. His name is Chris, but we call him Dr. Jones, the Metal Magician. After ably serving as our master fabricator, he recently moved over to the service side of the shop. Different tools, same careful precision and perfection. He may not say a lot, but his work speaks volumes. Sports Car Craftsmen’s great all-rounder. 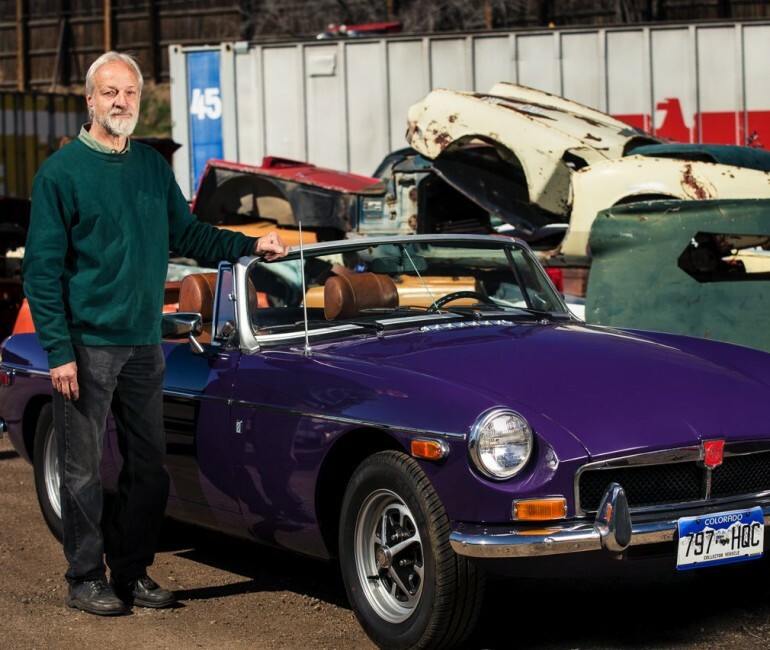 His red V-8 MGB is a rolling resume – and one you can hear long before you see it. Our newest addition to the Sports Car Craftsmen. 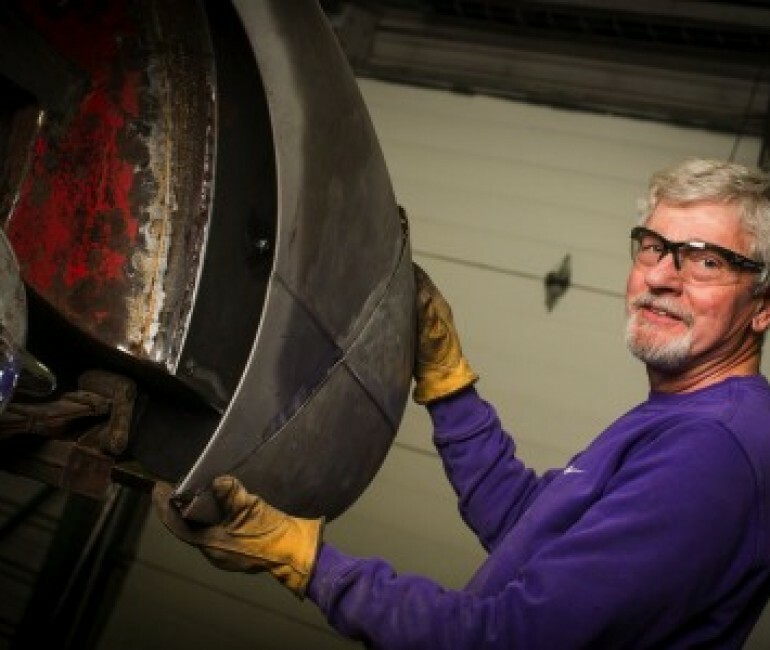 Master welder and craftsman, Stuart takes care of all our fabrication, body building, and rust repair. “The Finisher”- Paul takes all our messes and turns them into finished projects we’re proud to display as our very own. Paul hails from the Old Country, so we don’t blame him for working here to stave off homesickness. You know the phrase, “It’s a dirty job but someone’s got to do it”? That someone is Bret. “The Weekender”. 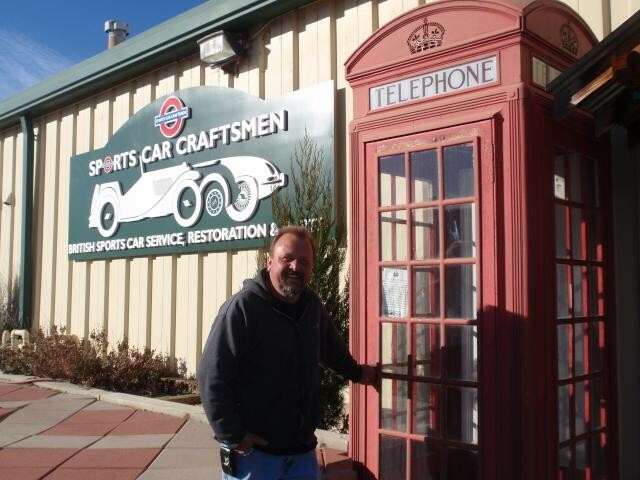 David has worked at Sports Car Craftsmen in various capacities over the years. Now our dedicated weekend warrior, he’s become more myth than man. 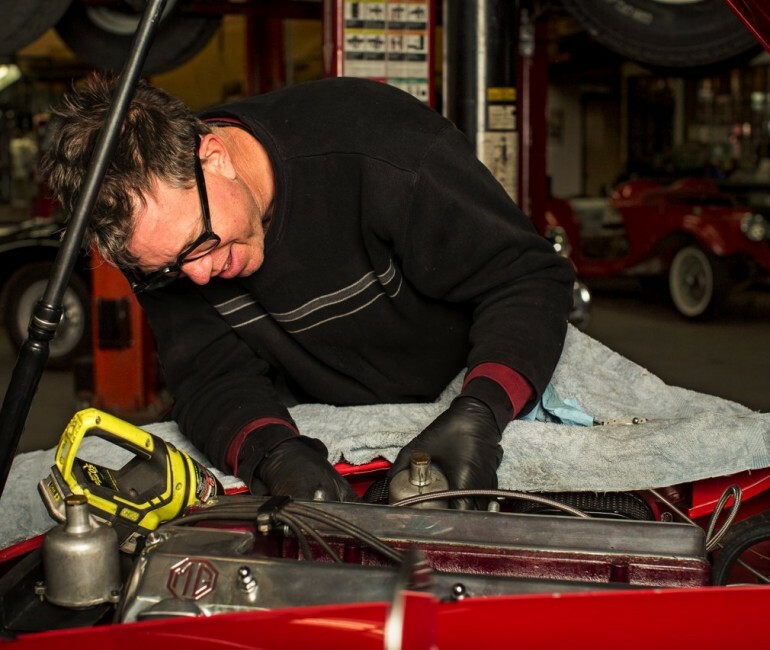 Leroy does exceptional work on cars we are restoring. 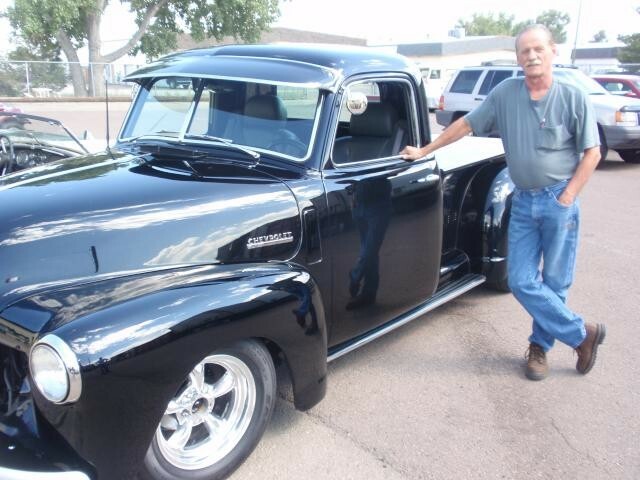 Here he is shown with his recently completed 1949 Chevrolet pickup. Although the truck shows some signs of external modification, it’s the mid-engine installation of a Cadillac Northstar V8 that makes this truck extraordinary. 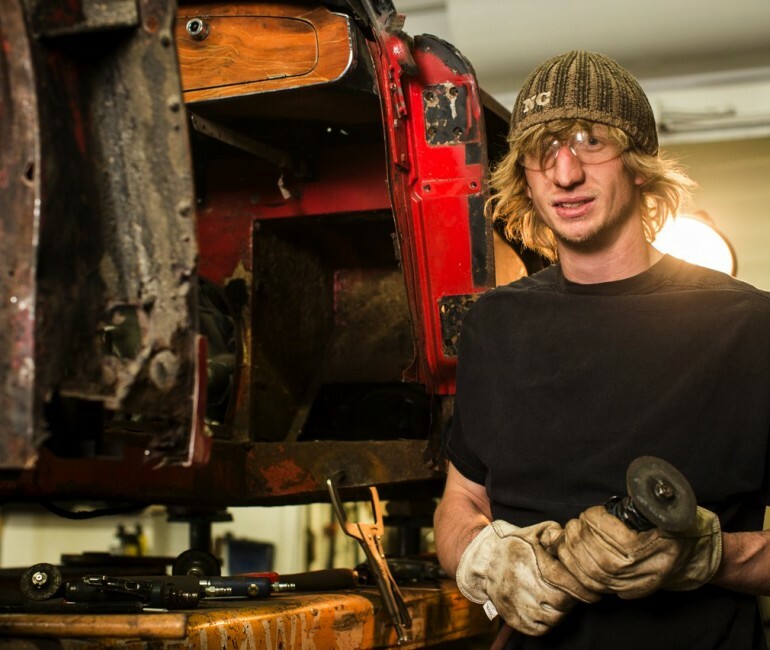 Leroy’s truck was awarded the Best Engineering award in Denver’s Rod and Custom Show, November 2011. Leroy has also built one of the neatest MGBs in the world – a Ford SHO powered show stopper of unbelievable quality and detail. Roger, is our ace powdercoater who consistently goes above and beyond to produce outstanding results with a speedy turnaround. 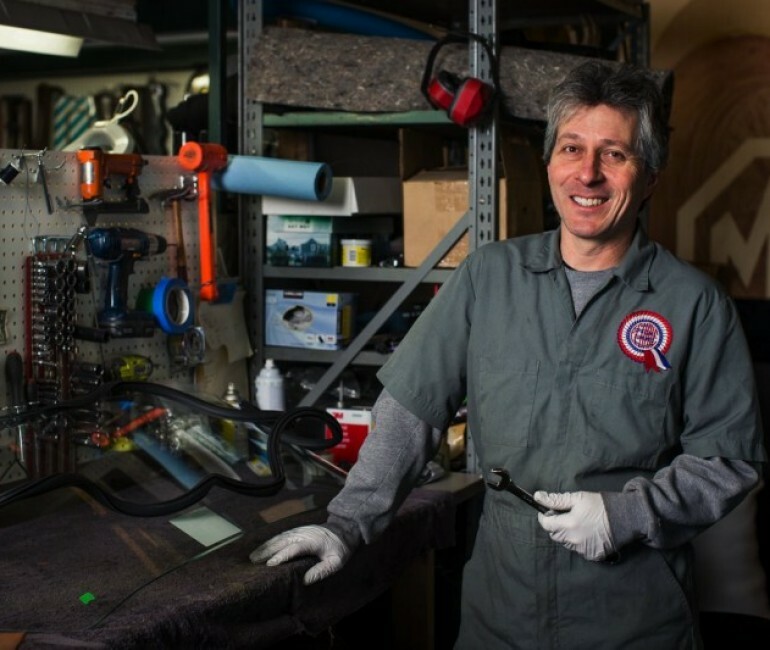 Gary, our media blaster, performs the most meticulous, thorough blasting jobs with a whole variety of media, from full frames and bodies to parts of all sizes. 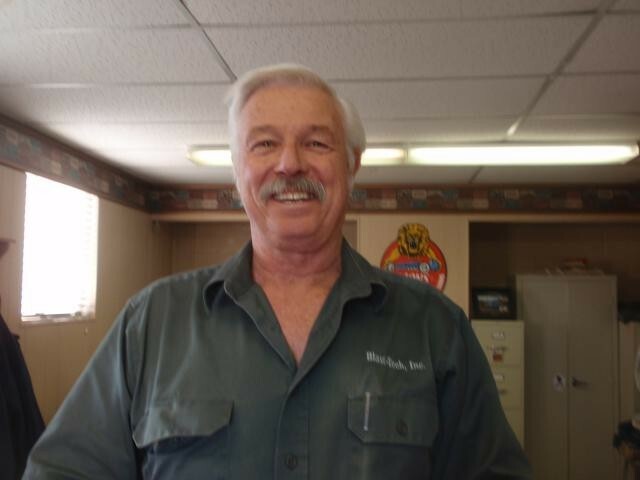 Pete’s incredible level of knowledge, his constant desire to help, and his guidance through the tire world were invaluable to us on more than one occasion. 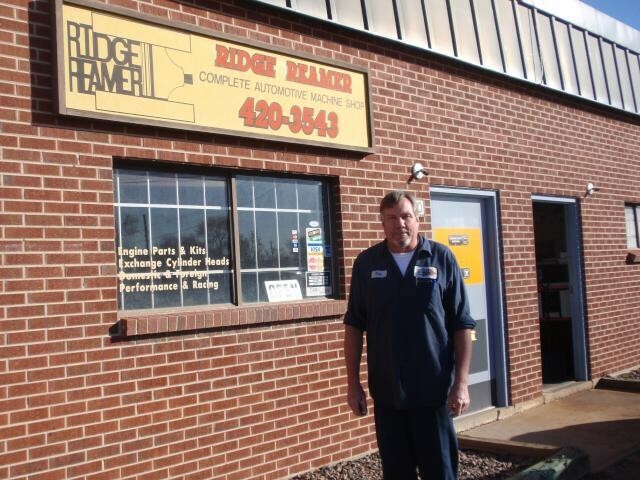 Pete at Ridge Reamer does all our machining. Jay’s around the shop so often, many of our customers know him. Jay was with us when we moved shop in 2006, and he headed up the construction crew who got the place ready for us. Without him, we’d probably still be operating out of cardboard boxes. Bata is our detailer. We spend our hours getting cars dirty, and he spends his getting them clean again.